Det här var den lilla överraskningen Ed hade. Så Ed har en liten överraskning för oss, undrar vad. 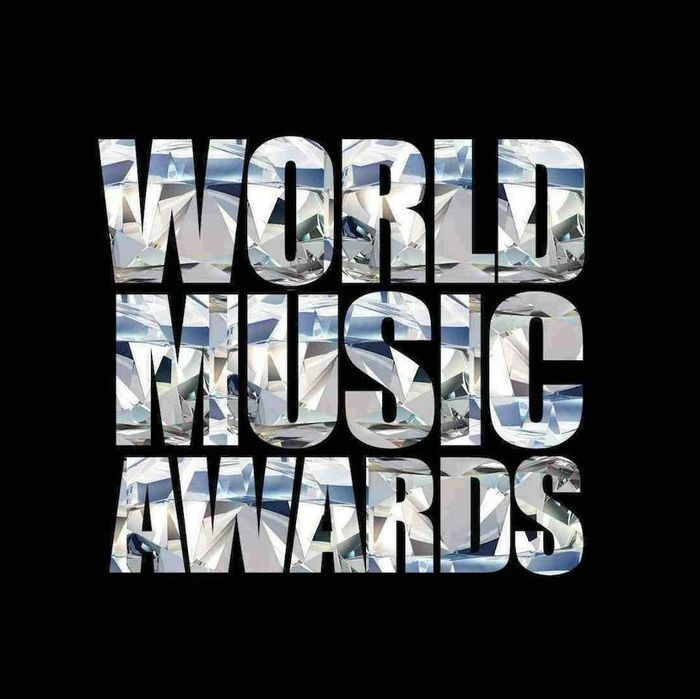 Inatt var ju musikbranschens största award, The Grammy 2014. Ed vr ju nominerad i en kategori och sedan var ju Taylor Swift nominerad för sitt album som Ed har hjälpt till att jobba med men tyvärr vann Ed inte. Men eftersom det är en så stor award så är det fantastiskt att bli nominerad och det är ju Eds första nominering så thumps up! 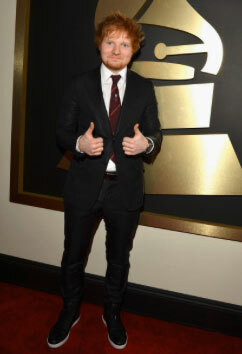 Finns inte så mycket videos eller bilder på Ed från the Grammys men vi hoppas på att få fler. Inatt så är det äntligen dags. The Grammy Awards är musikindustrins mest pristigefyllda gala och den kommer sändas inatt, svensk tid. Jag har tyvärr inga länkar här men har ni några länk förslag får ni gärna kommentera dem. Det är rätt så tyst när det gäller Ed förtillfället och det finns inte så mycket att skriva men jag tänkte om någon av er kanske har något ni vill dela med er av, kanske någon tecking av Ed eller någon cover till någon av hans låtar så kan ni mejla det på där här addresen, sheeransweden@hotmail.se. "Ed Sheeran has become a household name in 2013 with hits like “Lego House” and “The A Team,” taking over the radio airwaves and opening for Taylor Swift on her Red tour. Sheeran is only going up in the music industry. 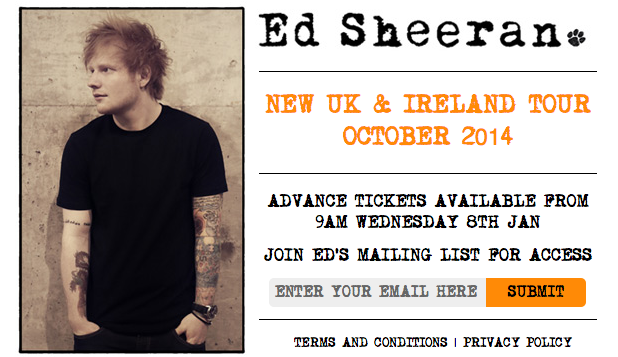 Sheeran’s debut album + was written many years ago but the singles have only become popular in the United States over the past year. Songs like “The A Team” and “Give Me Love” have garnered the singer massive amounts of attention and have fans hanging on his every lyric. The young singer even sold out Madison Square Garden, by himself. 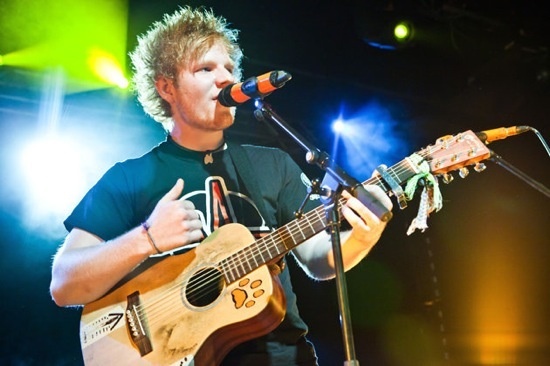 Sheeran took the stage with his guitar and held the attention of every concert goer during the entire show. 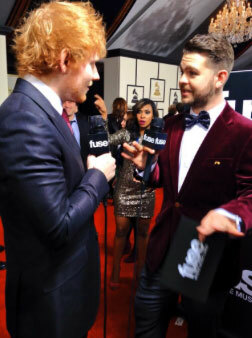 The “Everything Has Changed” singer is riding this momentum from 2013 into 2014 and is nominated for Best New Artist at the Grammy awards this year. 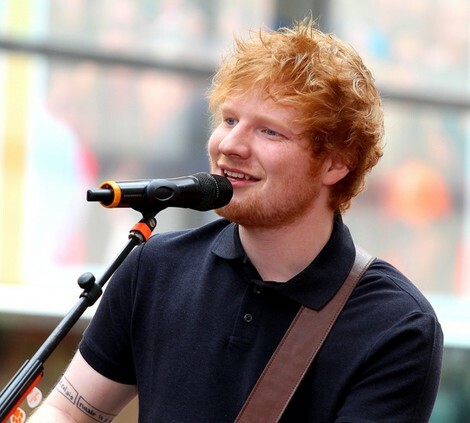 TheCelebrityCafe.com is counting down the top five Sheeran singles before he walks the carpet at the Grammy awards; from his latest “I See Fire” to his single with Swift, Sheeran is on fire in 2014. 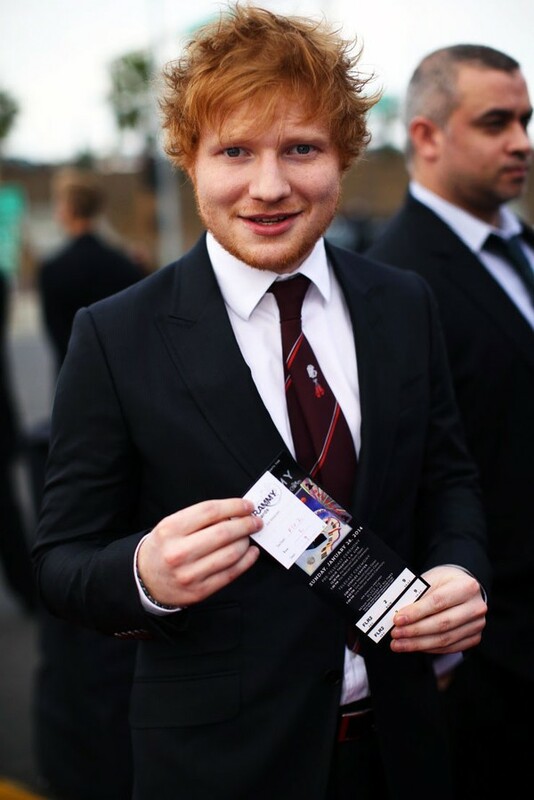 Sheeran has a style that is unique and modern when it comes to his performances. “Give Me Love” showcases all of these modern elements that he pulls into his work and this song manages to feel intimate but at times larger than life. “Give Me Love” has become an instant fan favorite at live shows." One of Sheeran’s most popular singles, “Lego House” gained even more popularity when Rupert Grint starred in the music video as Sheeran’s loveable stalker. Sheeran joined Swift on the Red tour and the duo seemed to be a magical match, as well as good friends. 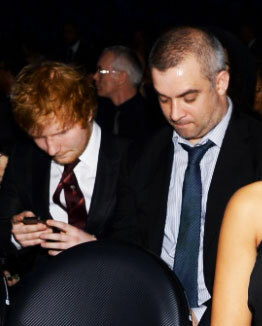 The top superstars came together to write “Everything Has Changed,” which was featured on Red but this helped to introduce Sheeran and his unique musical skills to the masses. He also had a way of complimenting Swift’s voice, which was unheard of until this single. Even though this song features some very graphic content, this song has become a fan favorite and at live shows the audience sings along with every word. Written from his own experiences living on the streets, “The A Team” captures Sheeran in a musical snapshot and leaves fans wanting more music from the U.K. superstar. Fans who were holding their breath for another Taylor Swift and Ed Sheeran duet can let out a sigh of … disappointment. Sadly, it won’t be happening — at least not on the English singer-songwriter’s new album. “We’ve already done a song and I don’t know if that would surprise anyone if that happened,” he adds. The pair’s hit ‘Everything Has Changed‘ appeared on Swift’s 2012 release ‘Red’ and was a fan favorite, from the catchy melody and sweet lyrics to the completely adorable music video in which kids find their first love. Although the two star singers aren’t collaborating for Sheeran’s new album, they will, of course, still collaborate in other ways. Who knows? 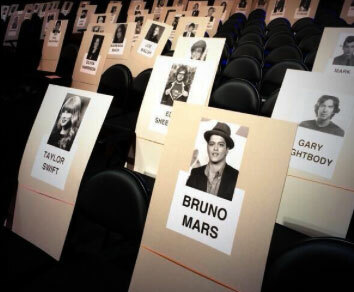 There’s still hope that Swift will decide to display her ginger-haired friend on her next record! And Sheeran has admitted before that he’d be open to doing a country album someday. Now that sounds like a great way to unveil another duet between the two talented musicians! Jag har fått många frågor om Ed kommer komma till Sverige snart men nu är det så här att det inte finns några uppgifter på varken världstour eller Europatour. Men vill man verkligen gå på en Ed konsert så har datum för konserter i Irland och Storbritannien släppts. Biljetterna släpps 10 Januari kl 10(svensk tid). Finns ni på Eds email lista så kan ni köpa biljetter redan nu, finns ni inte med kan ni skriva upp er HÄR! Hoppas ni fått svar och tips.